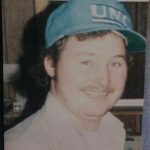 Robert Lee Snodgrass, 54, passed away on Monday, January 21, 2019. Robert was a native and lifelong peninsula resident. He was the former owner and operator of Bobby’s Heating and Air Condition. He was preceded in death by his father Carl R. Snodgrass, Sr., and a grandson Christopher Galloway, Jr. and is survived by his children, Ashley Donnell (James), Jon Eric Snodgrass and Chris Galloway, Sr. (Christina) and there mother Edie Keller; He is also survived by his mother Carol Sue Snodgrass and a brother, Carl Snodgrass, Jr. (Rene) along with 7 grandchildren, Merissa, Naveah, Haley, Christyana, McKyrah, Julian and Tatianna as well as numerous nieces and nephews and many special friends. 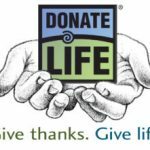 Robert was an organ donor. A memorial service will be held at 5:00 PM on Saturday, January 26, 2019 in Amory Funeral Home Chapel. 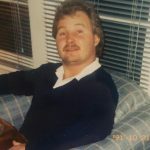 To view obituary go to amoryfuneralhome.com. Memorials may be made to Life Net Health, 1864 Concert Drive, Virginia Beach, Va. 23453.